Android Fastboot Driver is the best software for all Android users. 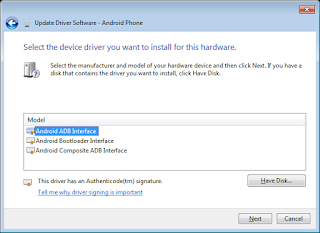 This latest Android Driver allows you to install the latest version of ADB and Fastboot files on your PC windows without the need of installing the entire Android SDK package. If you wish to root your Android smartphone or tablet, you will need to use the latest Android Fastboot driver and ADB tools. Normally, ADB and Fastboot tools are included as part of Android SDK, which is a complete development tool for Android developers. But for rooting, you do not need to download the whole Android SDK, which can take up a lot of space on your hard disk and you just need fastboot and ADB tools, which take a little space on your PC Windows. Android Fastboot Driver creates the bridge between your Android Smartphone and Personal Computer. You can easily root and unroot your android phone or tablet using this tool. You can easily unlock the bootloader, installing apps using ADB Commands and various flashing purpose Commands. You don't have to set up the minimal ADB and fastboot tool manually, simply run the setup and it will install the files in the disk. Program Files/Minimal ADB and Fastboot folder. Fastboot driver installation package is only 2MB, so it takes few seconds to install on the PC. The Fastboot driver's setup is simple and easy to use for Android users. Download Android Fastboot drivers for Windows XP/Vista/7/8/8.1 and Windows 10 (32-bit and 64-bit) at the given download link. Now download and install this latest driver on your PC windows for free. Once the ADB and Fastboot Drivers are installed you can Enable USB debugging and connect your device to PC, and pass ADB and Fastboot commands. If you wish to download and install this latest Android Fastboot Driver for PC Windows, then click the given link for free download. Just tap the link and download Android Fastboot driver for PC.